Last weekend I was lying in bed watching Kenneth Branagh's adaptation of Frankenstein, the sweeping epic is an often overlooked piece of cinema history and a seminal performance by DeNiro in his prime. Undeniably one of the top three or four greatest actors of the 20th Century, an unmistakably American titan of cinema, early on in his career trained with Stellar Adler from the age of 18 and later with Lee Strasberg and others at the Actors Studio until his late twenties, arguably the founders of what we now know as 'Method Acting' though both with differing points of view, they came together as successors to Stanislavski. Sometimes when the circumstances are right and asked the right questions, DeNiro talks a bit about his process and the lengths he goes to inhabit the character; to prepare for the role of Frankenstein's monster DeNiro talked to stroke victims, as they learnt again to be the people they once were. 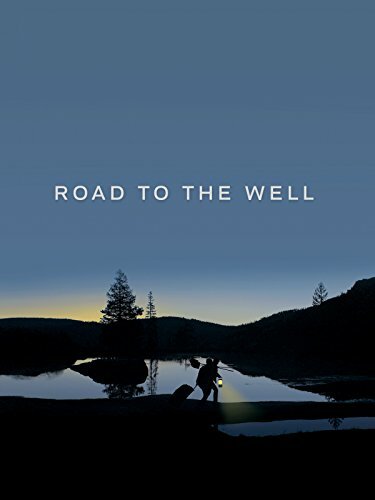 Watching DeNiro's brutally vulnerable monster staggering with understanding and determined to pursue his creator to the ends of the earth, I received a text from the director Jon Cvack with the brilliant news the Road To The Well won the top prize of Best Of The Fest at the Long Beach Indie Film Festival. This film has gone from strength to strength on the festival circuit since it's premier at Dances With Films, since it has been accepted into a number of major film festivals and up for awards competition in all of them including San Diego Film Festival coming up. All this was not without the blood and sweat of all involved, stitched together by the unlikely leadership of Jon Cvack. It was brilliant to get the five of us Jon, Micah, Marshall, Tim and I all in the same room for the Q&A at Long Beach for fifteen minutes or so we had the floor and the stories of forging this dark little monster began to spill out of our respective laboratories of memory. Something we didn't get the chance to explore was the rivalry between Jack and Frank, the elements that went into creating the chemistry we had on screen were at times pretty uncomfortable. It was unclear how far each of us were going to go, and it was particularly uneasy because of the fact that we naturally felt a brotherly comradery sharing this experience, being a central part of a film that we knew would be special, but it was our duty to compete. There were some things we did off screen to add to this, I know that Micah gave Jon a copy of David Mamet's True & False, I suppose an answer to my background in 'Method Acting'. This is much the same problem that Hamlet wrestles with, just before this clip I was talking about the comparisons between Classical theatre and American cinema. Apparently soon after this I was also talking about whether or not to commit suicide, "To Be or not To Be" made sense at the time. My meaning was the existential/nihilistic questions being posed in the characters journey, discussions between myself and the director Jon Cvack were focused on the way that Satre or Camus would take on such problems. Camus believed the only real philosophical question worth asking was wether or not to commit suicide. Essentially, and I believe unknowingly, Mamet's ideas are in line with the tired old fashioned philosophies of the old British guard, who during my time in British theatre when I would pose questions about how to reach deeper levels emotionally and psychologically with my character, would retaliate "say your lines and don't bump into the furniture". I came to America to get away from that stagnant point of view, leaving a burgeoning career in the West End after Madness In Valencia at Trafalgar Studios to pursue screen acting in American independent film, the last vestige of hope for the craft of screen acting. I felt vindicated in doing this, when finding that Daniel Day-Lewis also turned his back on the British tradition after training at Bristol Old Vic and becoming disillusioned with the RSC, he came to America to make independent cinema inspired by films like Mean Streets, Goodfellas and On The Waterfront. My friend the actor Matthew Crowley pointed out to me recently that his rebellious Irish heritage made this move inevitable, I thought the same was probably true of my Australian 'convict' heritage coming out. Though I found the British tradition in acting particularly helpful when it came to honing the instrument, movement, vocal and physical skills, all necessary parts of the actors make up, I found it lacking in depth. Upon arriving in the States I are across Ivana Chubbuck and Eric Morris, two practitioners whose work had a profound influence on my character development, Ivana for her psychological depth and Eric Morris for his exploration of sensuality in the present moment, his advanced sense memory work and of course his conception of "Being" adapted from Eastern philosophy. Though he may not have understood all this, Mamet's agenda however, is intentional and glaringly obvious; it's clear Mamet would much rather the actor didn't exist at all and it's place a kind of meat puppet, or even better he'd prefer to hand out copies of the script to audience instead of screening the film or watching the play. In either case he shoots himself in the foot, because actors or no actors, it's ultimately his film or play the audience will be watching and they will only walk away cherishing the piece if at it's heart they are moved more than they were with any other piece of cinema, theatre, painting or what goes on outside of the arts all together. The actor is the director and the writer's greatest allie against the sea of mundanity that is the facsimile of life. During rehearsals I began to read Crime & Punishment to discover the feelings of guilt that the protagonist goes through in order to reach those moments of intensity that Frank feels about the murder. Soon after reading I had a nightmare which I told Jon about in which I murdered someone, in recalling the dream I noticed a bottle opener on one of the shelves that had a distinct engraving, I sort out a similar bottle opener to keep with me while working on the scenes during and directly after I discover the body and thought of it in my mind's eye and that image brought about those feelings. Soon after this discussion Micah began to show up to rehearsals and on set with a copy of Crime & Punishment. What was peculiar was the way in which he read it, sitting down next to me as I went about my studies on my iPad, turning the cover towards me and looking over to make sure I'd noticed. I'm still unsure as to how this served his character, other than there is generally a murder in it, though unlike Jack the protagonist Raskolnikov is not a psychopath, far from it, he is a masochist with the unconscious motivations of being caught and condemned for his crime. This deeply human flaw, ruptured through his entire being and expressed itself in guilt. I somehow feel though that both the instances True & False and Crime & Punishment were somehow a part of an experiment and holding the beacon was Jon Cvack, as he probed Jack in whatever direction was asked of him, chiefly in my line of sight, so that I saw him as a target. Wafting the flames beneath the bunsen burner. Though I knew their talks in private surrounded this, I began to cotton on to the idea that it was all some sort of experiment with myself as its subject, firstly to goad myself (as Frank) into an all consuming battle with Micah (as Jack) that linked my entire being (as 'method acting' is at the very core of who I am) to this conflict. The pages of their journals really slipped out, when Jon over dinner at Long Beach Indie began to draw a rather tenuous connection between baseball and Acting (this was the only time the subject of acting was brought up between us since wrapping the film) drawing on Billy Beane's findings in Moneyball as he attempted to uncover the square root of what players would make up the ultimate team and discovered you didn't want the most skilled athletes, the guys who hit the most home runs, but the good enough guys, who got on base the most times. At which point Jon turned to Micah and said "You used to play baseball didn't you?" Micah then recounted a five minute story which sounded perfectly rehearsed, his True & False approach in full swing. The story went as such; Micah was practicing a lot to the point where he was "in his head" but then something just clicked and he felt in the moment and pitched the ball perfectly, all the while the details of the story and it's point being stitched by Jon sitting next to him, as he was frantically holding up the the disparate limbs, unsynchronized appendages as they slipped together in the amniotic fluid of this strange and monstrous new idea. Lightening struck the harbor as Jon reached his arms to the sky and cried out "and that's just like acting". Confused and malevolent it stood, mouth agape at it's own creation, Frankenstein's monster was revealed... But who was it, was it Micah? Or was it me? I also remember saying to Jon at the start of the process, "do whatever you need to do to get me there, I will forgive you in the end..." I just hope he understands that its ended. Further to the Billy Beane theory; when applied to acting this would assume when casting a film you don't want to hire the best actors, but a bunch of good enough actors to say the lines and not bump into the furniture. Jon initially got the idea that actors are like athletes from Hunter Lee Hughes at the Story Atlas, an acting class we were both a part of a couple weeks ago. I'm ongoing in that class by Hunter's invitation so I went back this weekend and asked him what he thought about it having just directed the brilliant ensemble film Guys Reading Poems, making the rounds at festivals at the moment. He thought though there is certainly something to the comparison between athletes and actors, the Billy Beane theory was completely off when it came to acting and I was in agreement. The athlete / actor metaphor is not a direct comparison and has much more to do with the intensity of preparation leading up to a performance. For instance my sport of choice is Mixed Martial Arts, which I've been in consistent training for the last seven years, not in preparation to actually fight but because the immediate skills hone my instrument and presence. Anderson Silva, one of the greatest MMA fighters of all time, early in his career was training everyday from the time he was a little boy Silva held the longest title streak in UFC history which ended in 2013 after 2,457 days, with 16 consecutive wins and 10 title defenses. The last few years he "wasn't really training that hard' in his own words and has lost every single match. The same could be said of the last sixteen years of DeNiro films (sparing a few). I have heard the metaphor of actors being like athlete's before, in fact from one of the cast of Money Ball, Philip Seymour Hoffman (both Jon and my favorite actor). Though Brad Pitt is the lead actor and was rightly acknowledged by the establishment in form of an Oscar Nomination for that role, Philip Seymour Hoffman was not acknowledged in the same way for this film, again I feel that is rightly so for their respective performances in that particular film. However under the Billy Beane theory Philip Seymour Hoffman would never get cast in anything, because by virtue of his searching all that he puts in to his work which explodes onto the screen he is too compelling to be put on that team. In the clip to the left PSH discusses the actor / athlete metaphor and how it relates to preparing for a role, he breaks down the perception others might have, I suppose the 'glamor' of the process as appose to the reality, though I don't believe the two are as far apart as he suggests, nor do I believe that a person can ever walk away unaffected by a role if they were as invested as PSH put himself through. We'll never know the absolute truth about what he's saying here, as ironically and tragically he overdosed on heroine a few years later, and though we will never know specifically what his reasons were for doing this, clearly there were unresolved and unspoken parts of himself that no interview or quote will uncover. With all this considered under the Billy Beane theory, we would never have the good fortune to see one of the greatest performances in cinema history in Capote, the only role for which PSH was awarded an Oscar before he tragically passed. PSH trained for 6 months to accomplish this part, including loosing 40 pounds. In fact Capote as a film would never get made because whoever is in that role would have to express themselves in a colorful way. "Formalized external acting; representational, has a strong tendency to follow fashion. Internal acting; presentational, reject fashion and consequently can become as timeless as human experience itself. I think now you know where I stand, certainly it is with the Dusa (actress Eleonora Duse) who once accused of being too much alike in each of her roles, answered that; 'as an artist the only thing she had to offer was the revelation of her soul'. But if I stand with Duse and with the presentational approach to acting, I do not reject in toto the representational, to do so would be to reject actors of brilliance who have found their way along that path. I reject the representational only for myself as actress and teacher, I must work on an approach to the theatre that functions for me, as a teacher I can teach only what I believe. ".. I too feel the physical aspect is less interesting to discuss in words, though by no means no less important, because words in this instance have less application to what is actually being done in comparison to the psychological work on a role, unless sitting down to discuss a plan for how the body will be transformed to fit the life of a character, then the actor goes out and does it, either they have the discipline to accomplish this end or they don't and that's all there is to it. Obviously the first actor to take physical transformation to the extreme was DeNiro in Raging Bull, getting himself in match shape as a boxer for the part of Jake Lamota, then taking three months off to put on 40 pounds of fat to portray the character later in life. There have been a number of greats since to transform their physicality for a part Christian Bale among them, but this story about DeNiro is cinema Legend and almost always referenced when the subject comes up. Robert De Niro, Sr. was part of the celebrated New York School of artists who enjoyed success in his early career during the 1940s and 50s in New York City. But the art market of post-war France offered little opportunity for De Niro. He returned to the United States and continued to paint in relative obscurity. While doing some research on DeNiro's career for this post, I came across this interview about the recent film he made about his artist father, he said he always needed to do it, at some point, and his only regret was not doing it sooner. Between festival duties as I walked around Long Beach I thought of my mother's paintings, as we walked the beach and round Catalina, talking about my late father and The Peter Fuller Project I always knew DeNiro's Dad was an artist and wondered why he didn't speak about it more, I think it was because he was alive and the competition between them for artistic acknowledgement was too much for him to put aside, in some strange way I have the 'benefit' of my father's passing, so I can pursue this project t without that block.